Home renovation means improvement of our houses to meet our current needs. Here are two ideas that will make the project a success. The contractor who will carry out your home renovation should be somebody who is qualified to conduct the kind of work required. It should be an individual who will deliver the work in the required quality as well as on time. Take your time when selecting your contractor; do background research to ensure you get the best. You can even ask for referrals from your friends or relatives. They will recommend a contractor who has delivered and at the same time somebody that will not disappoint. Home renovations are supposed to give your house a facelift, make it look better as well as make it a modern facility. For the facelift to be completed successfully, we need to have a comprehensive budget. We should not set a budget without overages. It’s important to ensure that in the course of making our budget we add approximately 15 to 20 percent in overages. This ensures that we have some room to maneuver in the event something goes wrong. There will always be unforeseen issues which crop up during the renovation process and you cannot be sure what might happen. Having overages ensures that this is covered and nothing will be derailed. Kitchen, living rooms, bathrooms are some of the most used places in the house. It’s extremely important that these places are given priority at all times during the renovation process. It’s only after these places have been put in great shape that we should move on to other areas. If you’re working on a limited budget make sure you start with these areas and then move on to the rest. We pay a lot of attention to interiors while ignoring the exteriors. The exterior side of the house and landscaping also need to be part of the renovation. They are the sections that set the mood and create the atmosphere you want and give an impression of what to expect. Pay attention to these areas so that the renovations will stand out and give the house the look that you want. 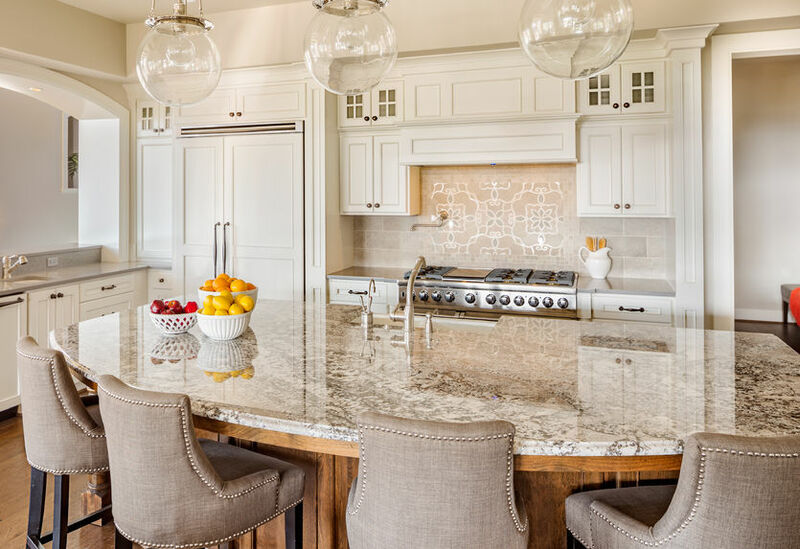 Granite has been one of the most commonplace building materials in homes worldwide since ancient times because it is durable, and can outlast even the house itself. Granite is perfect for kitchens, bathrooms and it comes in many varieties and colors. Plus it is resistant to weather, temperature, heat and cold. The best thing about is it’s super-strong and sturdy and won’t succumb to cuts, scratches, dings and dents. It is a hugely popular choice for flooring, accents, walls, cladding, paving and the construction of monuments. It can also be used in other ways rarely considered like Granite tables, for instance. And since it is a cut-to-size stone and it can fit perfectly to any specification. 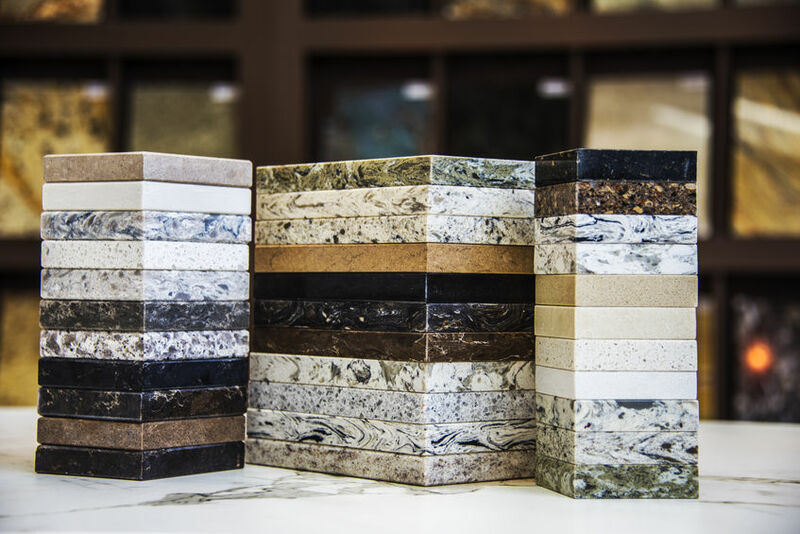 Cheap countertops are imitations of granite and marble like Formica. Having the appearance of the real thing and not requiring a lot of maintenance. But these imitations are not resistant to heat, scratches, dings and fading. But for a home-owner who must work within a budget, cheap granite countertops can be as cheap as 10% of the price of real marble or granite. Many contractors and engineers now recommend granite made in China. They are as durable as granite from other parts of the world and buying Chinese granite is usually a good decision. Granite is graded as either A, B, or C and the left over slabs are called “orphans”. Buyers must beware when buying class “A”, because some sellers can be unscrupulous and would send B instead of class A granite. The grade of granite is based on supply, demand and actual quality of the stone itself. Granite is first dug out, then polished and cleaned and then delivered to stores. These all form the cost of the granite. Some granite slabs are sold cheaply because of a color that is hard to match to common house finishes. Thus color is one of the biggest factors in determining price. White and off-white colors like cream, gray and Bordeaux (rosy) are the best for kitchens. 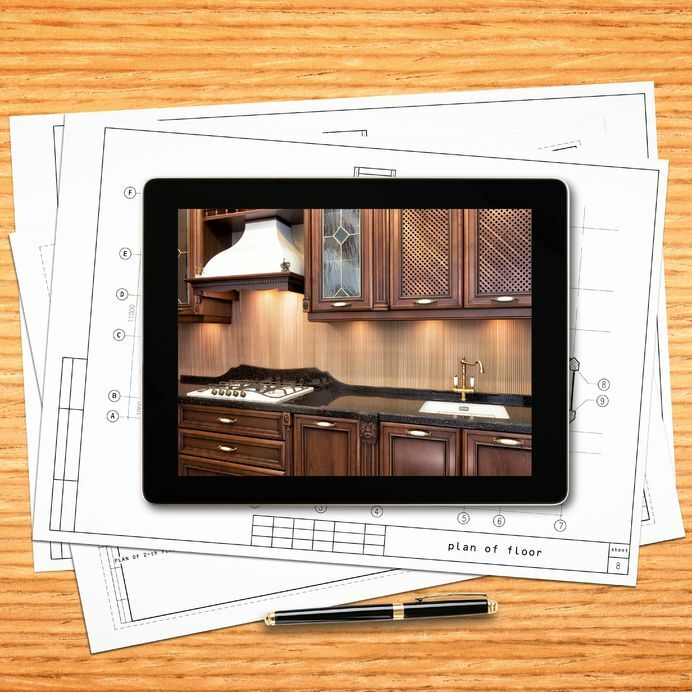 But for wooden kitchens, warm granite that comes in warm white, beige, walnut, oak and grey best work with varnished and stained cabinets and kitchen fixtures. But a favorite among colors is the earthly-greyish-brownish-greenish granite. The effect of these color combinations is rustic, earthy, or geometric and matches satin-nickel cabinets and motifs especially when polished. One fantastic shade of the grayish green combination is the rare blue-green granite. It is perfect with sandy white cabinets and fixtures and especially gives splendor to the house when the sun strikes it. The classic kitchen countertop however is black for a rustic-classic feel. A pure black perfectly polished and oil-rubbed is the best for this type of kitchen. 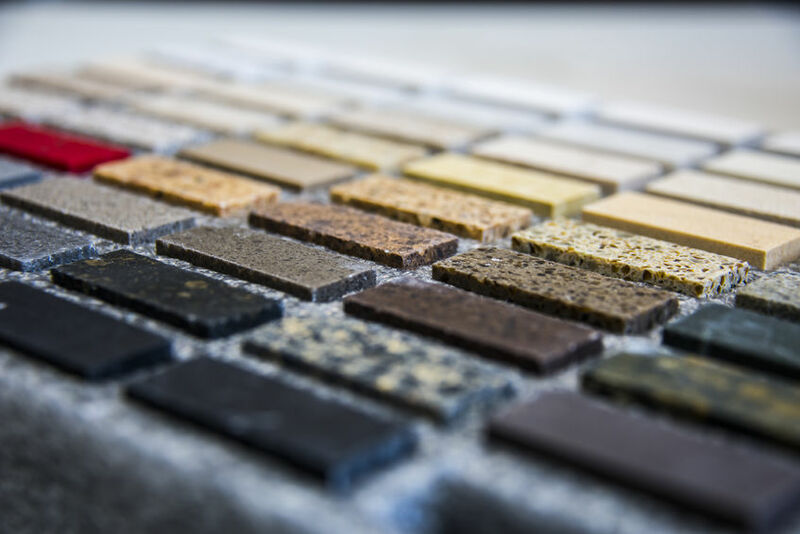 The cream, grey, brown and red granite and undertones is another favorite when you want to add warmth to your kitchen. Keeping your stone free of dust will minimize the scratches and wear-patterns that can develop from everyday use. Using a neutral cleaner specially formulated for natural stone will help remove soils that normal dusting or damp cleaning leave behind. We recommend Revitalizer Cleaner with Protector. This cleaner is developed especially for natural stone and tile care. Its unique blend of neutral cleaning agents makes it gentle on your stone while leaving behind an impregnating protective shield every time you clean. Do not use general purpose cleaners or you may damage your stone or break down the sealer. Also, do not use products that contain lemon, vinegar or other acids, as these may etch the stone surface and damage the polish. Do not use scouring powders or creams; these products contain abrasives that may scratch the surface. surface. Damp mop the stone floor with clear water as needed. For cleaning use a diluted solution of Revitalizer or Clean Stone as directed on the label. Keep off floor until completely dry, as wet stone floors may be slippery. recommend that you only use the cleaning products recommended in this care guide. Stain Remover Paste -This easy to use poultice is designed to slowly remove oily stains from natural stone surfaces. This product may be purchased from us. Follow the directions on the label. Etch Marks — Substances that are highly acidic, such as orange juice, coffee, vinegar, wine, tomato products, mustard and many soft drinks, will “etch” some stones —even if they are sealed. Although sealing allows you time to wipe up a spill, it cannot stop the chemical reaction that may leave a dull area or etch mark in the stone, although we use the best sealer we can find to prevent this as best we can. 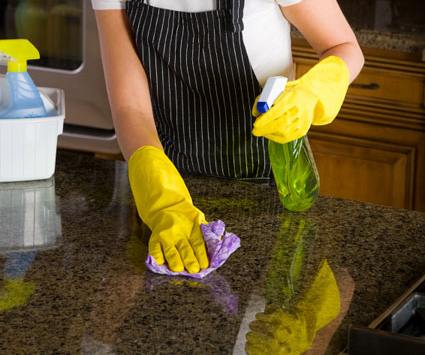 In addition, cleaners not specifically designed for natural stone are not recommended. These may etch away the polish, discolor the surface, scratch the stone or degrade the sealer. That’s why selecting the correct cleaning products is so important to the lifetime beauty of your natural stone. Professional refinishing is the best way to permanently remove etch marks and restore your natural stone’s finish. 15 Granite Countertops Colors Starting @ $34.99/Square Foot Installed + 1 FREE Sink! *Price reflects Estimate 3 edge choices PLUS INSTALLATION! This may not be combined with other offers. 40 SF Minimum. Restrictions May Apply. Subject to change without notice. 12 Granite Countertops Colors Starting @ $44.99/Square Foot Installed + 1 FREE Sink !